JKPSC Results 2018 – Jammu and Kashmir Public Service Commission (JKPSC) has finally declared the results for the interview of Combined Competitive Exam held in 2014. Check your JKPSC Interview Result here. Jammu Kashmir Public Service Commission also called JKPSC had released a notification for the Combined Competitive Exam in 2014. A lot of candidates appeared for the mains exam out of which, 175 candidates appeared for the interview The Mains Written Test was conducted from 11th February to 27th February 2017. A total of 175 candidates appeared for the Interviews. The Interviews were conducted from 20th October to 6th December 2017. 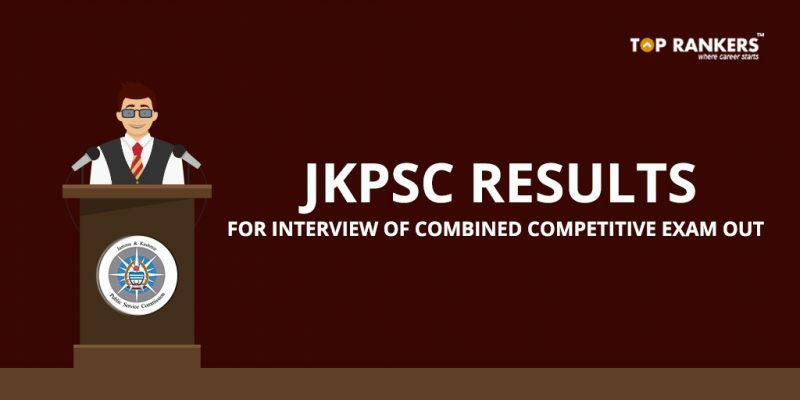 Now, the JKPSC Results for Interviews are out! In this article, we have shared the JKPSC Interview Result. The candidates who are named in the list can now head forward to appear for the Medical Exam. We have shared the direct link for the ease of candidates to check whether their name and roll number has been shortlisted or not. This result has proved as a sigh of relief for a lot of students who were eagerly waiting for their JKPSC Results for the interview. Click the Direct Link given above to check the Final List JKPSC Results 2017. Alternatively, you can go to the JKPSC Official Website. Reach to the What’s New section. Follow the above steps carefully. More details about Jammu Kashmir Public Service Commission 2017 JKPSC, can be gathered by clicking on the link given below. JKPSC has declared the JKPSC Interview Result for a lot of profiles. We congratulate all the candidates who have successfully got through this hurdle. Candidates who could not cross this hurdle, don’t get disheartened because opportunities knock the door every time. Stay tuned for more updates on JKPSC Interview Result.